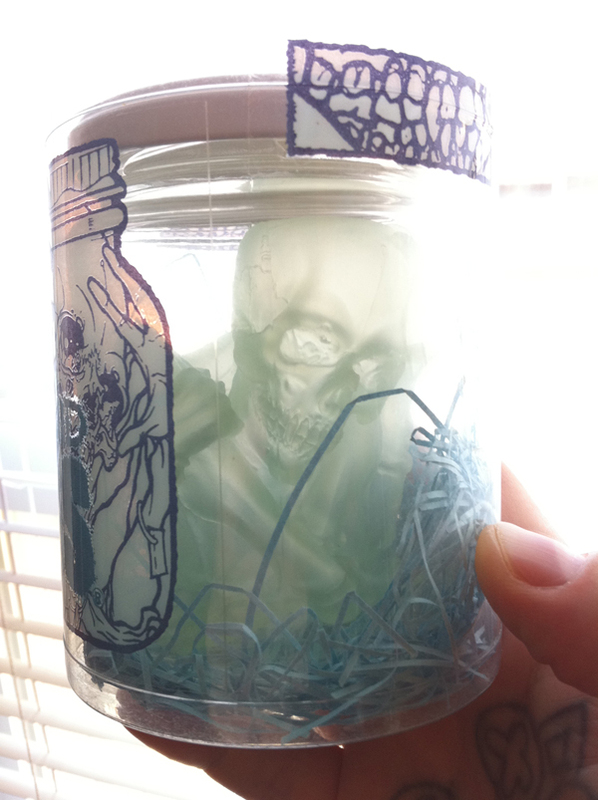 I posted a detail shot of this the other day, so to conclude the deluge of Jar of Pus posts over the last few days, here’s the full print. 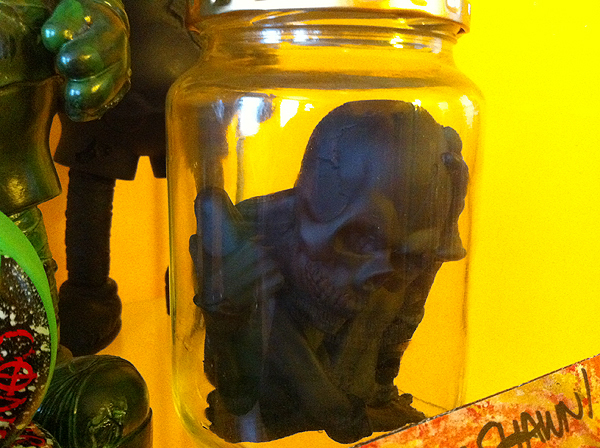 One of my two Jars of Pus; produced by Fewture with a production run 50 pieces. 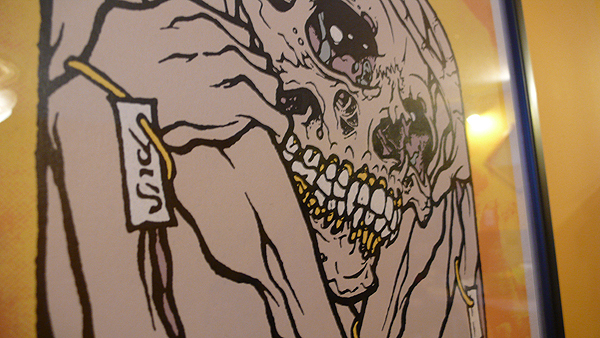 Pushead prints tend to come in non-standard sizes. 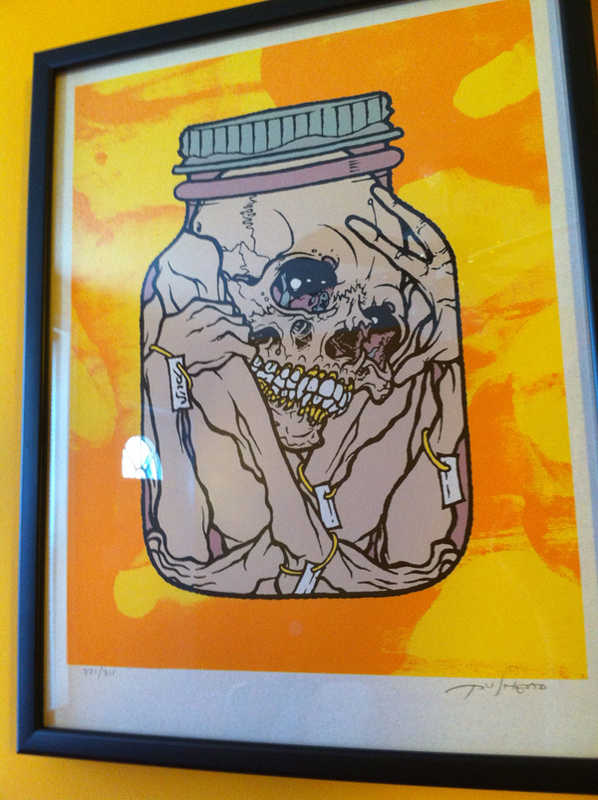 This one (from SWAMP) is 14.75″x19.25″ with a run of 311 Signed/Numbered Edition prints.